I going to be totally honest here. 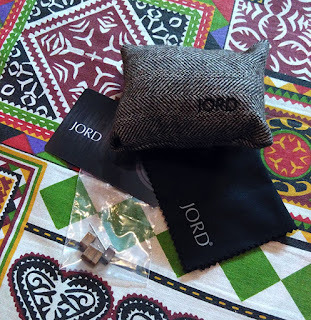 When I received a watch from JORD I was excited as well as curious. Wooden watch, seriously? I was expecting something that I visualized someone from the medieval ages wearing it, rustic and raw. However, I was so wrong, rather, I was pleasantly surprised by the fact that the watch was actually contemporary, artistic and uber chic. 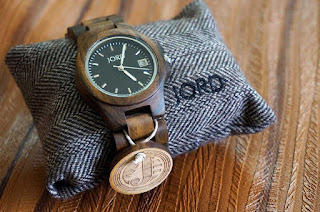 JORD watches are handcrafted luxury wooden watches made in America. These watches are made from the finest Wood found all across the world like Sandalwood, Rosewood, Maple, Ebony, Bamboo, Koa, Purpleheart and Zebrawood. The brand offers different designs available in these wood types. 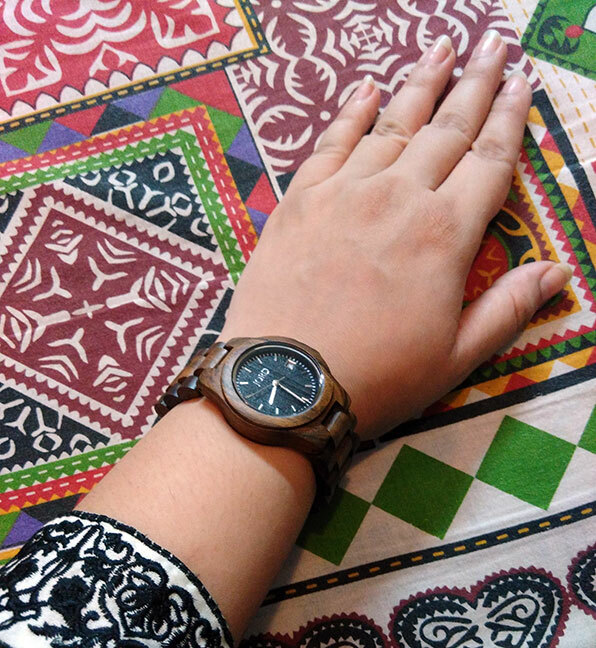 Apart from the wood the watch's mechanics and movements are also finely constructed. I received one of their designed Wooden beauty from the ELY collection in Dark Sandalwood which appears to be dark brown and in some case also blackish (though not quite like the coal). The BRAND Claims:"The natural dark sandalwood is hand finished and pretreated with tung oils. The Ely is splash-proof but should not be submerged in water"
The first thing that impressed me was the beautiful packaging. 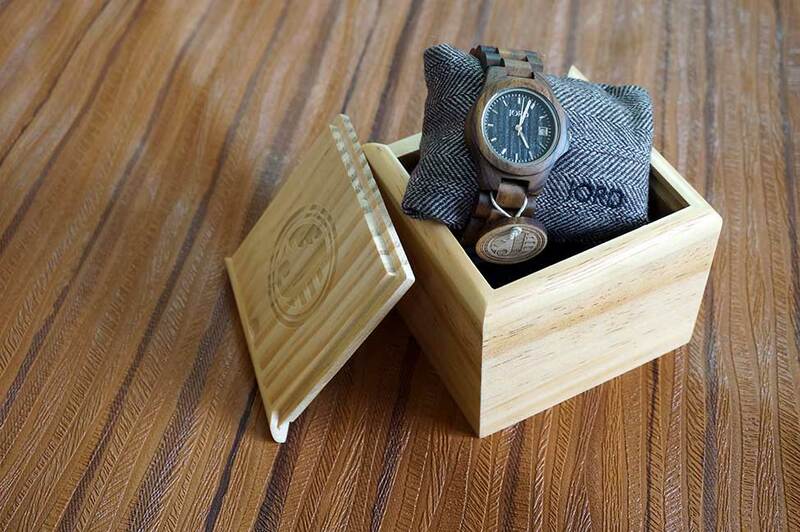 A clean, wooden box with a slide open top and carved logo. It's something that will look nice no matter where you keep it, in the drawer or on your dresser. The light wood box with subtle lacquered finish is a beauty on its own. It doesn't end there. 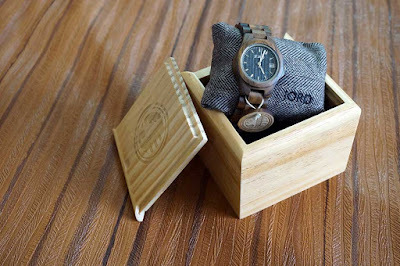 Inside the box, you will find a well-cushioned watch, warranty card, cleaning cloth and extra wooden connectors for the watch (just in case). 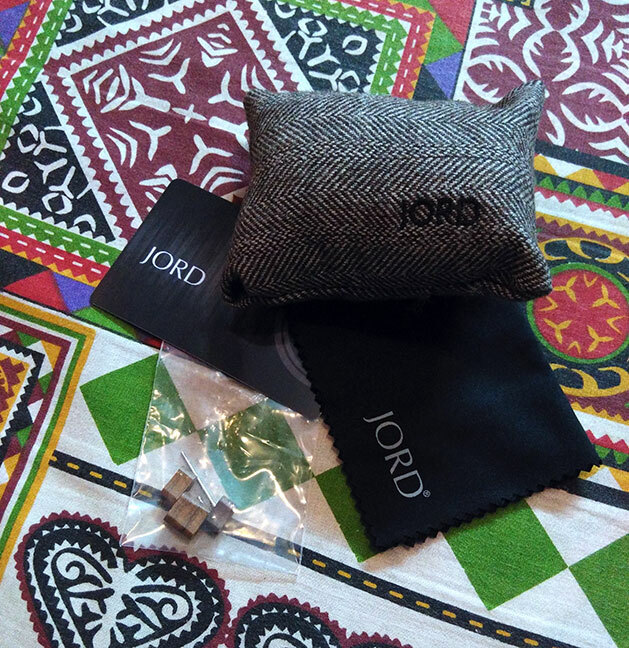 The presentation is so fine and nicely packed that you actually feel good owning it. The Watch is very unique. I instantly fell in love with it because there are so many reasons to. JORD watches are available ONLINE and they ship worldwide. The ELY series is available for $129qith free shipping worldwide. Me too! I simply love the concept! This would make great new year gift for my friends! What a beautiful watch, love it. This is pretty awesome watch would love to own one! 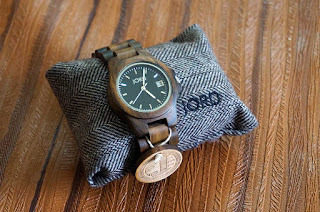 I've been seeing these watches pop up a lot online. They are so cool. 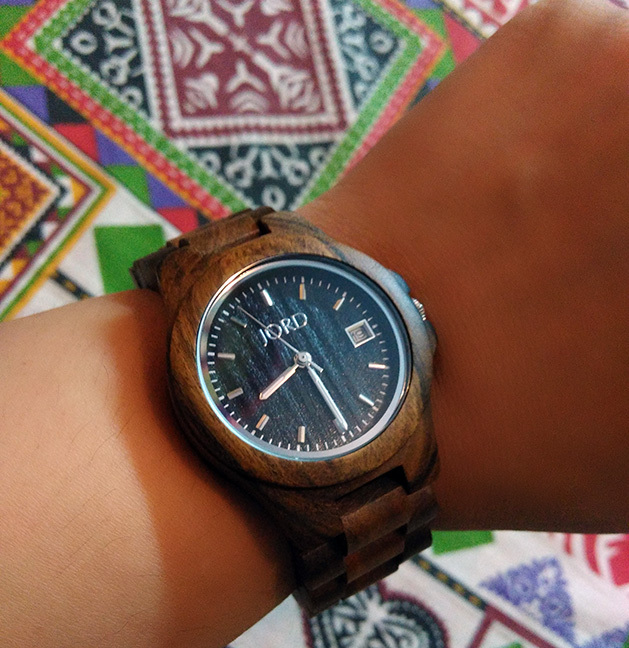 Its made from 100% natural wood and also Hand crafted that is why the price is high. I can totally understand why you thought it was high. I also thought initially but when I found out I knew it was worth it! Great post, would u like to follow each other?